The Holy Roman Empire lasted a thousand years, far longer than ancient Rome. Yet this formidable dominion never inspired the awe of its predecessor. Voltaire distilled the disdain of generations when he quipped it was neither holy, Roman, nor an empire. Yet as Peter Wilson shows, the Holy Roman Empire tells a millennial story of Europe better than the histories of individual nation-states. And its legacy can be seen today in debates over the nature of the European Union. 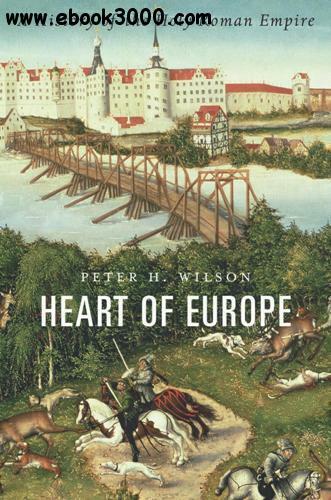 Heart of Europe traces the Empire from its origins within Charlemagne's kingdom in 800 to its demise in 1806. By the mid-tenth century its core rested in the German kingdom, and ultimately its territory stretched from France and Denmark to Italy and Poland. Yet the Empire remained stubbornly abstract, with no fixed capital and no common language or culture. The source of its continuity and legitimacy was the ideal of a unified Christian civilization, but this did not prevent emperors from clashing with the pope over supremacy - the nadir being the sack of Rome in 1527 that killed 147 Vatican soldiers.